Anchorage is celebrating it’s centennial this year, but the area has been inhabited for centuries longer by the Dena’ina, who still live in the area today. KSKA’s Anne Hillman spoke with Dena’ina historian Aaron Leggett about the area’s past and its future. For centuries the Dena’ina of Eklutna started their fishing season in the spring at what’s now the heavily industrialized area of Ship Creek near modern-day downtown Anchorage. But in 1915, a group of settlers built a tent city right where the Dena’ina fished. Leggett says his people adapted. They found work on the railroad and focused their efforts on other traditional fishing sites, like Point Woronzof. Leggett creeps down the ice-encrusted trail to the beach and looks out over the water. Dena’ina came to the area every spring and early summer to fish in the silty waters for king and silver salmon. They fished across Knik Arm, too, and off of Fire Island. North of Ship Creek they set up a type of wooden scaffolding over the mudflats so they could harvest salmon even when the tides went out. But the local Dena’ina were forced to give up another favored fishing spot when the U.S. military took over Point Woronzof during the Cold War. So what remains of the fish camps? Leggett says not much, and what is there, he wants left alone. So is the area still important for the Dena’ina people? “I guess to me, the connection is that despite airplanes flying over head,” he says as an airplane drowns him out as if on cue. And despite the parking lot and the windmills and the lack of trees… the ocean is still the same. Leggett says that many people more often visit other places, like Eklutna Lake, to find spiritual connections but all of the Anchorage Bowl is part of their homeland. It’s where they hunted caribou and gathered berries in the summer. 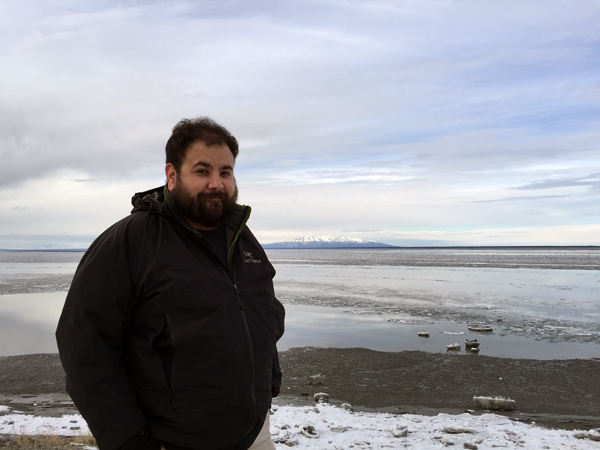 He says it’s something that many people, even other Alaska Natives, used to forget. But Leggett says that’s starting to change in Anchorage as the Dena’ina themselves continue to reawaken to their own culture and educate others.